Caterpillar 1st October 2010 to 7th October 2010 Cornerhouse, 70 Oxford Street, Manchester, M1 5NH Sun 03 October 14:10 / Tue 05 Oct 20:40 £7.50 / £5.50 Dir Koji Wakamatsu/JP 2010/85 mins/Japanese wEng ST Adapted from Edogawa Rampo's 1929 short story about a quadriplegic survivor's return home from the Sino-Japanese war, in 1940. 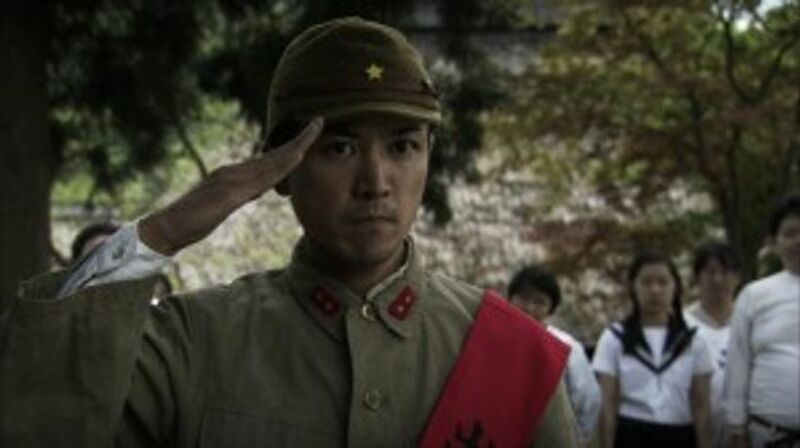 This is a metaphor of patriotic complacency from one of Japan's prolific and cult directors. Notoriously known for his soft-core erotica films and his previous film United Red Army. Consecutively his films have been banned in Russia, America and China. Koji Wakamutsi presents a psychologically disturbing relationship between a soldier and his wife. Please note that all festival film screenings will start at the time advertised. Both screenings will include a short introduction from Andy Willis (Reader in Film Studies at the University of Salford).